Have you got your group accommodation covered for the Sports Medicine Australia conference in October? We are offering all delegates and visitors to the conference an AMAZING special conference rate on some of the Elite Holiday Homes properties! 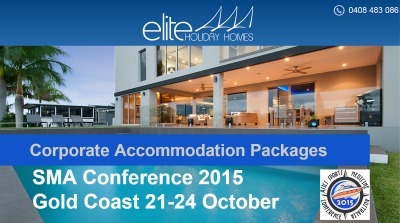 There are 3 & 4 night packages available to find out more email us info@eliteholidayhomes.com.au and quote ‘Elite SMA package’.